Smartphones are an important part of our lives right now, we use them to communicate with our loved ones, but also for watching videos, listening to music, visiting Facebook and even as a payment tool (Apple Pay and Android Pay). But, while we all carry around in our pockets (or purses) these mini computers, it’s easy to notice that some smartphones aren’t really attractive. We know, beauty is in the eye of the beholder, but it does seem that the smartphone scene was dominated by devices targeted at a male audience (for a while), therefore, while some smartphones were really practical, they were at the same time outrageously ugly. Thankfully, the last couple of years have seen a revolution in the smartphone design and we got to see beautiful metal cases melded with glass, rounded corners and smoother surfaces. So, it’s clear that the focus has steered to a more elegant, feminine approach. This is the purpose of this article, we will try to explore the most stylish smartphones on the market that manage to weld together both beauty and performance and that are more fitted for women (we won’t judge you if you prefer rough, angular edges or transformer-like shaped smartphones). Note: Most of the time, smartphones are unisex and, usually, the colour will make the distinction. 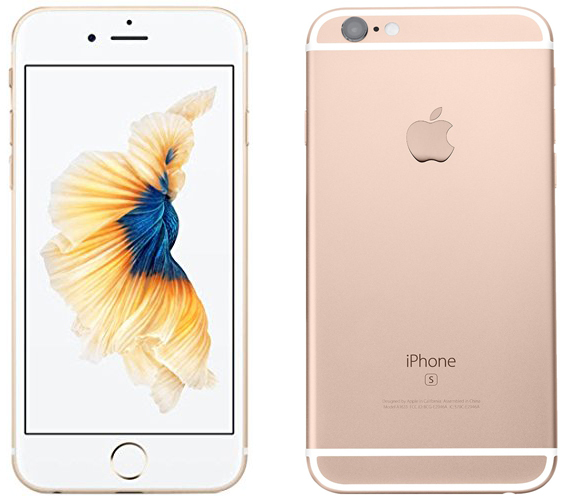 Being the successor of iPhone 6, the iPhone 6S may look the same, but it’s actually different, on the inside of course. If you are familiar with how the ‘S’ iPhones are, you may know that they usually bring something new to the plate, which can be a new piece of technology or just a twist on how certain features work. For example, the iPhone 4S was the first to add the Siri app, the iPhone 5S added the Touch ID fingerprint sensor and now it was the time for the iPhone 6S to advance the smartphone technology in some unique way. And it did. We got the 3D Touch (pressure-sensitive touchscreen). Apple has always used style as a key feature to all of its iPhone iterations, the attention to detail and the material used were always top-notch. And the iPhone 6S fits this description so well. You get an aluminium case which perfectly meets with the curved front glass in a seamless way, so you won’t feel where the two materials are joined. The metallic case is a lot stronger (you don’t have to worry about bending your phone) and the glass screen will less likely shatter, if dropped (compared to the previous iPhones). The iPhone 6S measures 5.44×2.64×0.28 inches and weighs 5.04 oz, meaning it’s really thin and lightweight and this is really important. Women, generally have smaller hands than men and, since smartphones got larger and larger, reaching the phablet size of 6 inches, these phones got really uncomfortable and very hard to operate with small hands. That’s why the reduced size of the iPhones is so appealing, this 4.7 inches handset, combined with the gently rounded corners will deliver a perfect handling experience. We saw that the handset is really comfortable to hold, but what about the accessibility and buttons placement? You don’t have to worry because the phone was created so it can be easily used with just one hand. The pill-shaped volume buttons are located on the left side of the iPhone 6S, directly underneath the Silencer Switch and the Power key can be found on the right side of the phone. The bottom of the iPhone 6S is home to a 3.5mm stereo headphone jack, a Lighting connector, two microphones and a built-in speaker. Note: The iPhone 6 cases can be used with the iPhone 6S. 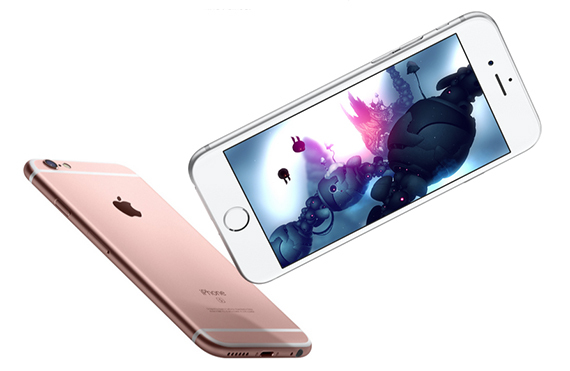 The iPhone 6S is available in space gray, silver, gold and the new rose gold (the most preferred so far). On the front of the iPhone 6S you will find the round Home Button (which doubles as a Touch ID fingerprint sensor) and the 4.7-inch LED-backlit IPS LCD display. You know that there are 2k or even 4k displays out there, but Apple decided to stick with a resolution of 1334x750p and a pixel density of 326ppi. It’s obviously not on par with the vibrant, colourful Samsung displays, but it didn’t intend to be from the beginning, the iPhone 6S being more keen on delivering natural colours. That being said, you get clear and bright whites (540cm/m2 screen brightness), deep blacks and very accurate colours (95% of the sRGB colour gamut). This translates into detailed-looking images and a great experience while watching movies. As usual, you can expect a stable environment and overall, a good performance from any iPhone. The iPhones 6S is equipped with a 1.84GHz dual-core Apple A9 chipset, along with a six-core PowerVR GT7600 GPU and 2GB of RAM. Unfortunately, there is no card slot (which has gathered some negative critique). You can expect great things from the processor, which is nearly twice as potent than the one on the iPhone 6 and the 2 GB of RAM are such a welcomed (and long awaited) addition. The powerful hardware will deliver a better handling of demanding games (it can handle even the latest titles), no stuttering or lags, better multitasking and no dropped frames. 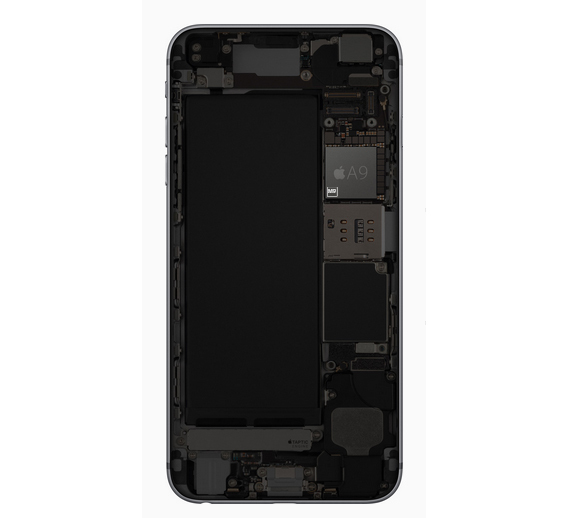 There may be other smartphones that seem to be a step ahead in terms of RAM, but the secret with iPhones lies in the great optimization between the iPhone’s hardware and the iOS, therefore the stable environment. The only inconvenience that we found is Apple’s stubbornness to keep the 16 GB as base storage option for iPhone 6S and, since there’s no microSD slot, you will have a lack of space in no time. The most talked-about feature is the 3D Touch, which adds a new way of interacting with the iPhone. Basically, what it does is it detect different levels of pressure and reacts accordingly to the way you press on the screen. 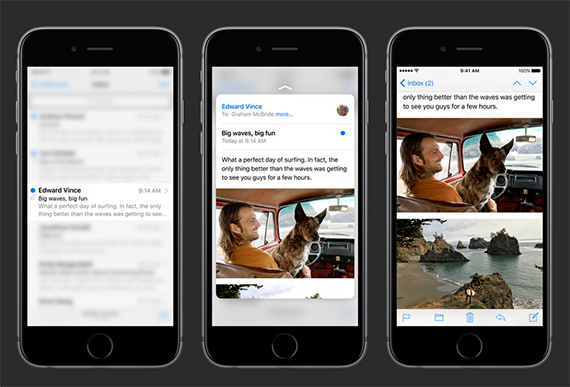 This creates a lot of new opportunities and the new iOS 9 takes full advantage of it. You can see the 3D Touch being used to preview messages, mark them as read or archive them, also you can trigger quick actions or open pop-up windows. It can also be used with games, music and especially with photo editing. Besides the 3D Touch, the iOS 9 offers a quick and responsive experience and has one of the most complete and high quality app store. Some of the apps that have been upgraded (from the last UI) are the Apple Maps (has transit directions), the better filtered Notifications and Siri is ‘smarter’ and can respond to a lot more commands. 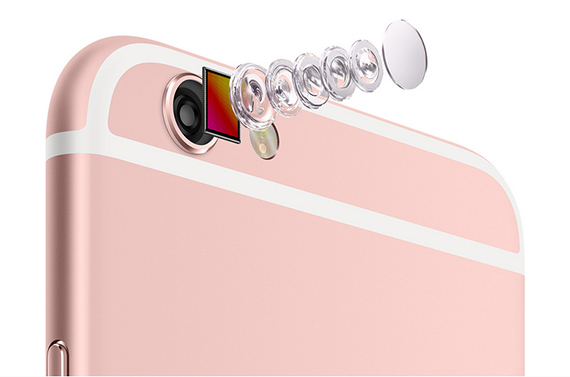 The iPhone 6S features a 12-megapixel rear camera with f/2.2 aperture lens, phase detection Autofocus, Dual-LED flash, 1.5µm pixels and it can shoot 4K videos. The 5-megapixel front camera has HDR, Face Detection and Panorama. Unfortunately, Apple still hasn’t added an optical image stabilisation (OIS). Photos taken in good light are close to perfect. You get a high amount of detail, the picture being clear and the colours looking natural. It’s actually on equal terms with Samsung Galaxy S6. But, in low light it isn’t that great. Indoor photos were nice (the noise levels have remained to an OK level), but could have been a lot better if Apple would have just added an OIS. Note: The Camera app hasn’t changed much over the years, an interesting addition being the easy way to view photos by pressing hard on the screen to activate the 3D Touch. One interesting feature is the Live Photos which takes a photo 1.5 second before and after the actual shooting and it creates a small video (time lapses). 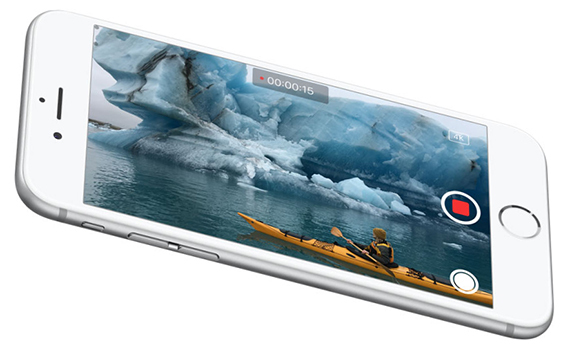 Just keep your iPhone still, otherwise you’ll end up with choppy videos. On the front camera, Apple used an interesting trick, using the screen as flash, making it one of the best front-facing cameras on a smartphone. In terms of battery life, the iPhone 6S doesn’t really stand that well, it has a non-removable 1715 mAh battery (a downgrade from the iPhone 6) that, on a daily basis, will deliver about 15 to 16 hours of normal use. This isn’t that much, but hopefully, Apple will address this issue in its next iteration. Note: If you think a 4.7-inch phone is still too large, but still prefer Apple handsets over Android or Windows, you can have a look at the newer 4-inch Apple iPhone 5SE. The Samsung Galaxy S7 can be considered the best smartphone on the market right now, having a stylish design, a lot of horsepower and some new features (that should have been there since the days of Samsung S6). Yes, Samsung has learned from its mistakes and took the successful formula from Samsung Galaxy S6 (which it got them a lot of recognition) and mixed it with some great features that made the Samsung Galaxy S5 a classic in the smartphone world. The result is definitely promising. There haven’t been many drastic design changes with any flagship handset since last couple of years, most of them have found a winning formula and went along improving some minor shortcomings. The same happened to Samsung Galaxy S7, you almost can’t tell it apart from the Galaxy S6 but this is not a bad thing. Samsung Galaxy S7 has reused some materials from the Galaxy S6, but in a better way. You get an almost full-glass case, with an aluminium frame between the two glass pieces that are seamlessly integrated so you won’t notice where one part ends and the other begins, delivering an uni-body feel. The phone is now a lot more compact, measuring 5.61×2.74×0.31 inches and weighing 5.36 oz, so it’s a little bit larger and thicker than iPhone 6S, but at the same time more comfortable. It may come as a surprise, but indeed, Samsung managed to make a 5.1-inch metal and glass smartphone comfortable to hold. This has been achievable by slightly curving the rear panel, so now, the S7 just slides softly in your hand and doesn’t give the impression that it may fall at any second. It’s also very easy to operate with one hand and easy to pick up from a table. Another thing we really liked is the clean look the handset manages to deliver, by cutting the camera sensor protrusion to 0.01 in and by lacking the metallic rim around its Home button (which doubles as a fingerprint sensor), rendering it almost invisible. It looks good, the only problem being the fingerprints, you will have to clean it a lot to not look really messy. The buttons are placed in the usual way, on the right side of the handset you can find the Power/Lock button and on the left, the Volume controller. At the top is where things get interesting. You have a nano-SIM tray, a microphone and a microSD slot (Samsung listened to the user complaints and added a card slot to the S7, while the S6 lacked this feature). Along the bottom, there a 3.5mm headphone jack, a micro-USB port and another microphone. I know there have been a lot of speculations, but no, Samsung decided it’s too early to use a USB-C port and it may have been a good call (although it will not be future-proof). Other interesting features are the heart rate monitor and the IP68 water resistance. 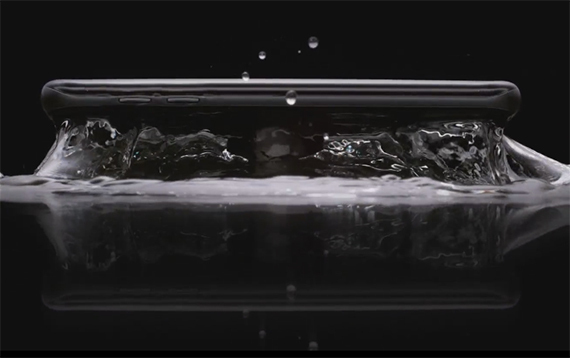 This means that you will be able to put the Samsung Galaxy S7 under 3 feet of water and leave it for a maximum of 30 minutes without damaging it. The micro-USB is waterproof, but if the phone detects water inside the port, it won’t charge it. Note: We know that the S7 Edge is sexier, but also a lot larger, being 5.5-inch, so it may not be suitable for women in the sense of handling and manoeuvrability, but, if you still fancy it, take a look here. 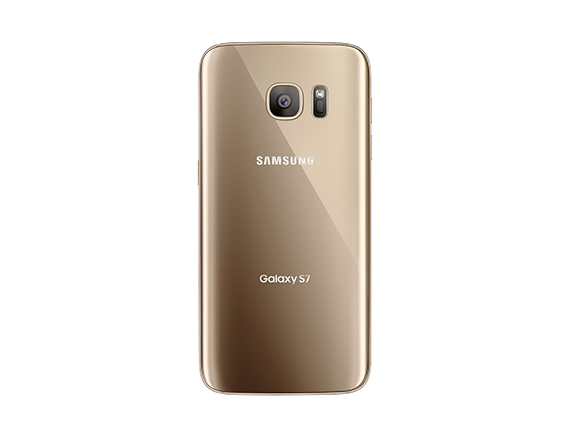 The Samsung Galaxy S7 comes in black, gold, silver and white. 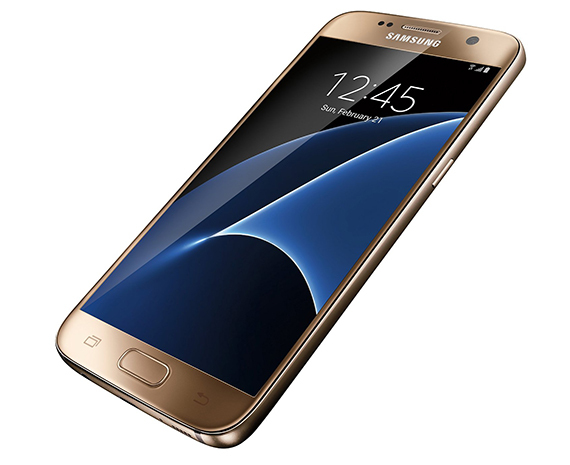 On the front of the Galaxy S7 you get a 5.1-inch QHD SuperAMOLED display, having a resolution of 2560x1440p and a pixel density of 577ppi. This means that while the Galaxy S6 had the best display on a smartphone, the S7 is even better. The screen is 24% brighter, better whites, true blacks and colours are sharp and less saturated. All these will deliver a sublime experience when watching movies or videos, as well as when watching pictures and playing games. The display is close to perfection. An interesting new addition is the Always On feature, which uses the way an AMOLED displays work, meaning some individual pixels will always remain on the screen, without draining the battery by much. So, you can keep the time, calendar and any other type of data always on the screen. Under the hood, Samsung has two variations of processors, depending on the region. If you’re in North America, you will find a quad-core Qualcomm Snapdragon 820 SM-G930 chip (for LTE), backed by an Adreno 530 GPU. Otherwise, if you reside in Europe and the rest of the world, you will get the octa-core Exynos 8890 SM-G930F processor, backed by Mali-T880 MP1. Both setups feature 4 GB of RAM. Although the Exynos is more powerful than the Qualcomm Snapdragon, you won’t really notice any major difference and the awesome thing is that both hardware variants top the competition. The 4 GB of RAM are a welcomed addition, you get the best multitasking experience (even two demanding apps can be opened side-by-side without causing any stuttering), any games you wish to run, will run without problems, lags or artifacts. As expected from a flagship handset, the Samsung Galaxy S7 is fast and can handle a lot of punishment. In terms of software you may be a bit sceptic and you have the right to be, because Samsung has become well known for its bloatware. But it seems that some things have changed. The TouchWiz interface built on top of Android 6.0.1 Marshmallow feels a lot lighter and faster and it’s with less bloatware. Sure, this won’t satisfy ‘purists’ (you should check out Google Nexus 5X), but one cannot deny that it’s still a really good looking custom interface. Among the new and improved features, we name the Game Launcher (which organizes all your games, as well making screenshots, minimize your games, so you can attend to other tasks) and Upday (a news app that allows you to add your own sources). Both of these apps can be disabled if not used. The Galaxy S7 also allows you to change the grid layout from 5×5 to 4×5, if you feel that your apps crowd the screen. In the near future, Google plans to release the new Android N and it will most likely be available for Samsung Galaxy S7, but, since the S7 already has the split-screen multitasking capability implemented, there won’t be any major differences between the old and new iterations of Android. 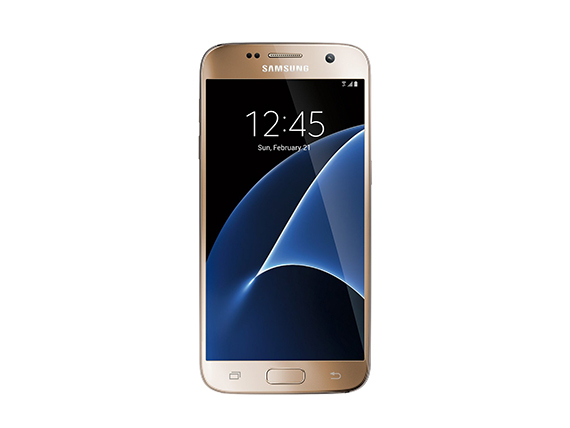 Samsung Galaxy S7 features a 12-megapixel rear camera with f/1.7 aperture, phase detection autofocus, OIS, LED flash, 1/2.6″ sensor size, 1.4µm pixel size, and can record 4K video. The 5-megapixel front camera also has f/1.7 aperture and Auto HDR. 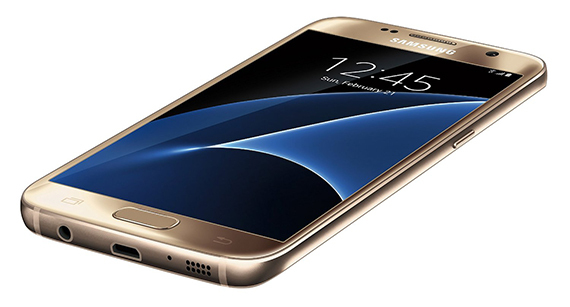 It may seem peculiar why did Samsung decide to downgrade from the 16-megapixel of S6 to the 12-megapixel sensor, but surprisingly the camera is actually better. This is because of the dual pixel technology which helps the autofocus to operate really quick, allowing you to snap clear shots of objects in motion and dramatically improving the overall quality of your photos. In good light, the camera has a stellar performance, similarly to the S6, but the real selling point is how it shoots photos indoors and in low-light and it’s clear why. The aperture size was increased from f/1.9 to f/1.7, so there’s more light while indoors, the optical image stabilizer helps with shaky hands and the fast autofocus will deliver sharper, brighter shots (while there’s still some digital noise, it is seriously diminished). Besides the usual photo shooting, Samsung has also added some cool features for you to play with, like Motion Picture and Motion Panorama. Similarly to iPhone 6S’ Live Photos, the Motion Picture captures a short video before you press the shutter button, not before and after, like on the iPhone. 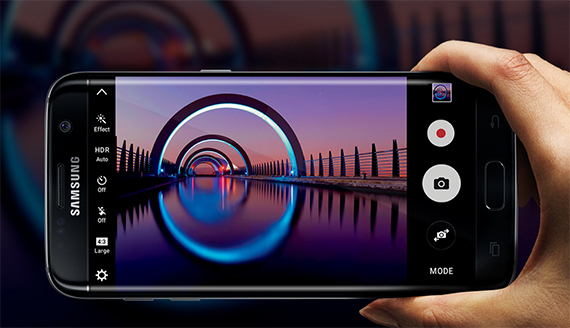 On the front, the 5-megapixel camera is again with the beautification feature, that can be turned off and will give your face a plastic appearance. In terms of battery, Samsung has been criticised from time to time for its stubbornness into adding a better, if possible removable battery. Well, they took the advice on the first part. 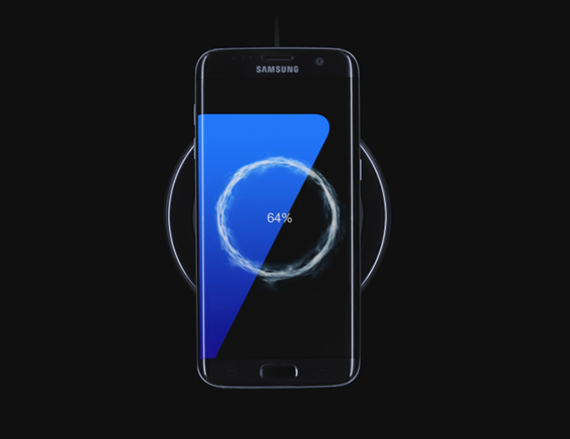 Samsung Galaxy S7 has a non-removable 3000mAh battery that will last up to 24 hours on heavy use (up to 18 hours of video looping!). The charger can fill the battery in under 90 minutes and you also get the wireless charging option (similarly to Galaxy S6).